Do you like to collect series of emoji packages which include all kinds of funny animated gif like the left one on your chating Apps or social software. It seems very cute, is that right? Animated GIF, which has much smaller size than videos and needs less network traffic, it makes more convenient for us to share videos on SNS, micro blog, blog and other apps on mobile phones like Apple, Samsung, Sony, Google phone and so on for an interesting social experience. 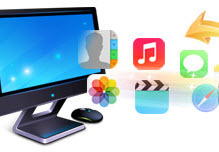 This article guides you how to convert your iPhone, iPad or iPod videos to beautiful or cute Animated GIF on PC. Syncios iOS Video Transfer is designed to export iPhone/iPad/iPod Videos to PC easily without iTunes, so that you can backup, manage or edit your videos on computer more conveniently. Simply download and install Syncios iOS Video Transfer on your computer according to different operating systems. Here please download and install it on your Windows PC. After installation, run the Syncios iOS Video Transfer and plug your device into PC with USB cable to connect iPhone/iPad/iPod with computer. Go to the left panel of Syncios, Click "Media" tab. Choose the videos you want to convert to GIF in your device. 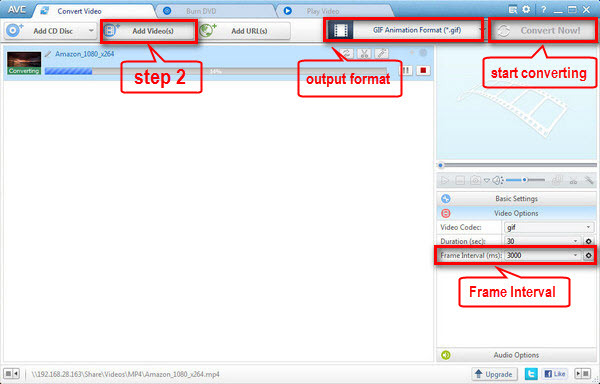 Click "Export" button and browse output location to export selected videos from iPhone/iPad/iPod to your PC. This Free Video to GIF Converter - Any Video Converter Freeware supports various input formats including AVI, WMV, MP4, MKV, FLV,3GP etc with very simple steps to make an animated GIF file out of a video. Download and install this Video to Animated GIF Converter of no spyware or malware on your computer. Then launch it on your PC. Drag the videos from computer you exported with Syncios iOS Video Transfer or add the video by clicking Add Video(s) button to the main window of Video to Animated GIF Converter. Generally, the program supports almost all video formats. Then choose GIF Animation Format on the drop-down list, and select Frame Interval on the below which determines the playing speed of converted animated GIF file. Click "Convert Now!" button to convert your iPhone/iPad/iPod videos to GIF Animation Format. An amazing animated GIF image with small size but good quality made out of a video! You can right click the progress bar and click Open Destination File Location to find the converted animated GIF. Note: For more tips on converting videos to animated GIF, clik Here for help. 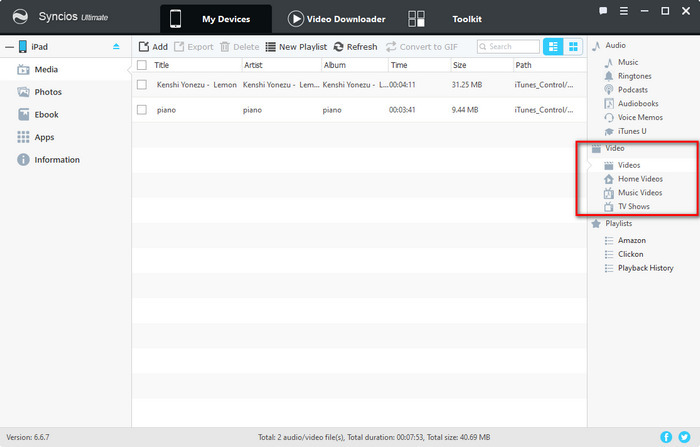 All-in-one Free iOS & Android manager, ringtone maker,video downloader. 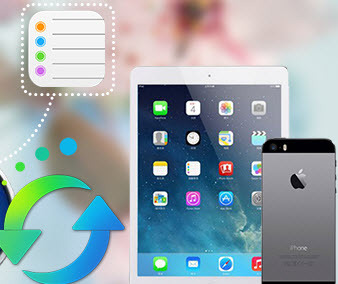 How to Transfer Photos from old iPhone to the New iPhone 5S, iPhone 6?